The Tax Return deadline is coming and I'M NOT READY! You're about to start seeing and hearing ads everywhere, right? The tax return due date is nearly here! Get yourself booked in before 31 October or FACE THE WRATH OF THE MONSTROUS ATO! Only *we*, [insert faceless corporate tax firm here] can save you from fines and penalties! I'm not gonna do that to you. A deadline is coming, yes. If you miss the deadline you *might* face fines and penalties, yes (honestly - you're not going to face them unless you're several YEARS behind, but that's a whole different issue for a different article). But I don't believe in scare mongering. I don't believe in using this deadline to force people through my door in their dozens or hundreds in the next 2 weeks. 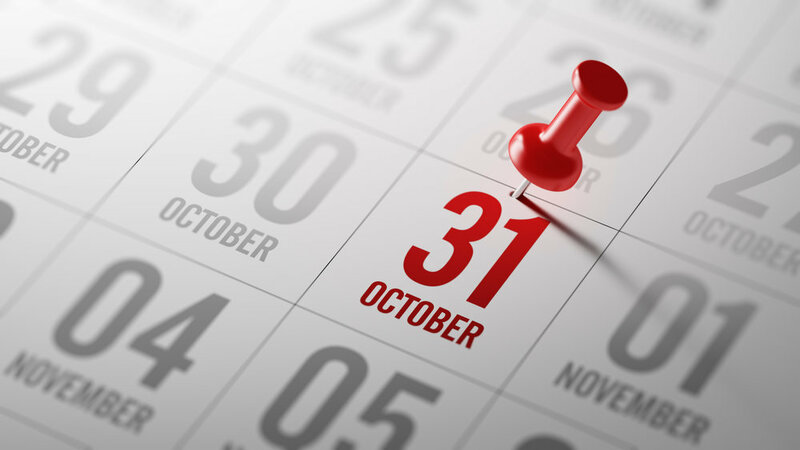 If you lodge your own tax return, it is due by 31 October 2017. If a tax agent lodges for you, it isn't due until 15 May 2018. 2. Some returns are due earlier - high-tax-paying individuals are often due in February or March. However, odds are if you're a high-tax-paying individual you already know about it and you're already using a tax agent. What this means is that if you're desperately not ready yet, if you've got a holiday coming up or a massive few weeks or you're just incredibly disorganised - there is hope for you yet! There's always a catch, right? But this one is a pretty small catch. If you want to take advantage of the extended due date, you need to be on the books of a tax agent by 31 October 2017. If you can get those details to a tax agent before 31 October 2017, and confirm with them that you intend to use them to prepare your 2017 Tax Return, they'll get you onto their client list, and you'll have a little more time to get your documents prepared. Now, this is the point where I make it blatantly clear that I am a Tax Agent. And to be honest, I'm not ready for the Tax Return deadline either. My calendar through 31 October is full, it's done, ain't no one squeezing in there. I'm not interested in scare mongering because I have nothing to monger you to. I'm booked up! However, if you send through just those three pieces of information above, I can get you on the books and we can look at November. November still has spaces! If you need it, December looks good too! 31 October is coming. Let's do 2 minutes of work together, so that we can both happily ignore it. You can contact me to send through your details and get yourself onto my client list. If you're feeling ambitious you can use my Tax Checklist to see what you need, what you have already and what you don't have yet. And if you're feeling really ambitious, you can sign up to my Tax Return Newsletter so that you get notified about articles just like this one. Newer PostWhat we all care about in the budget - tax cuts! But who really benefits?